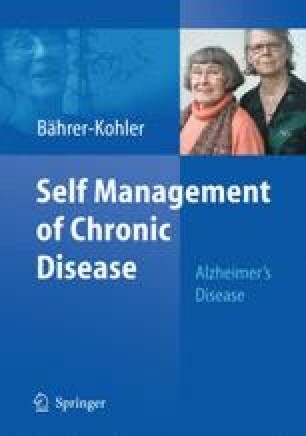 Even today, many people in Switzerland are confronted by problems associated with Alzheimer’s disease, be they patients, care-giving relations, people with cases in their family or among their close or more distant acquaintances, or members of support organisations. In addition to the 98,000 patients who currently suffer from Alzheimer’s, more than 300,000 persons in Switzerland are directly concerned as care-giving family members or close friends. About 40,000 dementia patients are being looked after by trained staff in homes (Swiss Alzheimer’s Association, status 2008). Indirectly, however, none of us is spared as we bear our share of the nursing cost through our health and socialinsurance contributions. If the present forecasts should come true, the number of Alzheimer’s cases will rise to 120,000–140,000 by 2030 (Monod-Zorzi 2007).1 This is a challenge that must be tackled at many levels. A general forecast for the industrialised nations predicts that the number of Alzheimer’s patients with increase by 30–50%. In the USA, it is expected that dementia costs will go up by 83% in the period from 2000 to 2020 and by another 60% between 2020 and 2040 (Monod-Zorzi 2007).